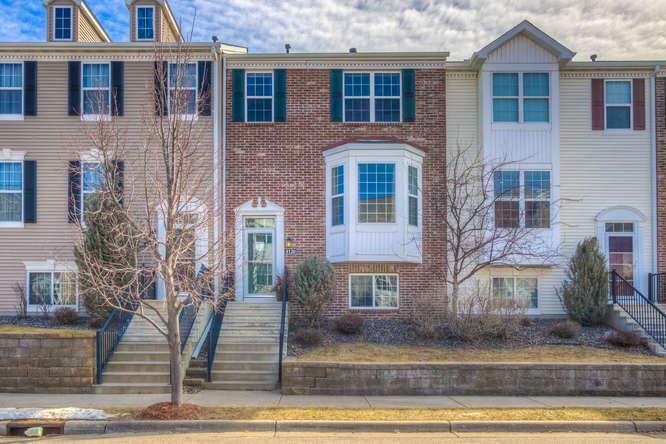 Fantastic and fresh Robbinsdale townhome - totally move-in ready! NEW flooring and fresh paint throughout the entire home. Light-filled with generous room sizes. NEW furnace with humidifier and A/C! New within 2 years; gas convection range and microwave, water softener, garage door, washer. 3 beds on upper level including spacious master suite with walk in closet, private master with separate tub and shower. Lower level 4th bedroom has a rough-in 3/4 bath and is ready to become a perfect guest or au pair suite. Easy walk to downtown Robbinsdale featuring acclaimed restaurants Travail, Pig Ate My Pizza, Nonna Rosas, WickedWort Brewing and more!